Get to biking for fun, fitness, social rides, and transportation around time with the information below. Plan your best biking route in advance! The online Austin Bike Map offers up-to-date information about available routes by reported comfort levels, so you can easily plan a safe and lower-stress bike ride. If you would like to provide feedback about the routes and their comfort ratings, you can use the Bike Map Public Input Tool. Printed copies of the map are available at bike shops, other retailers, biking nonprofits and City offices.To request maps in bulk, contact bicycle@austintexas.gov. Looking for a fun route to explore Austin by bicycle? Invite friends or family to join you for one of these bike rides, Each includes a route with a map, directions, and sites to see along the way. Check back for more DIY Biking Adventures, a resource developed for the Smart Trips Austin program. 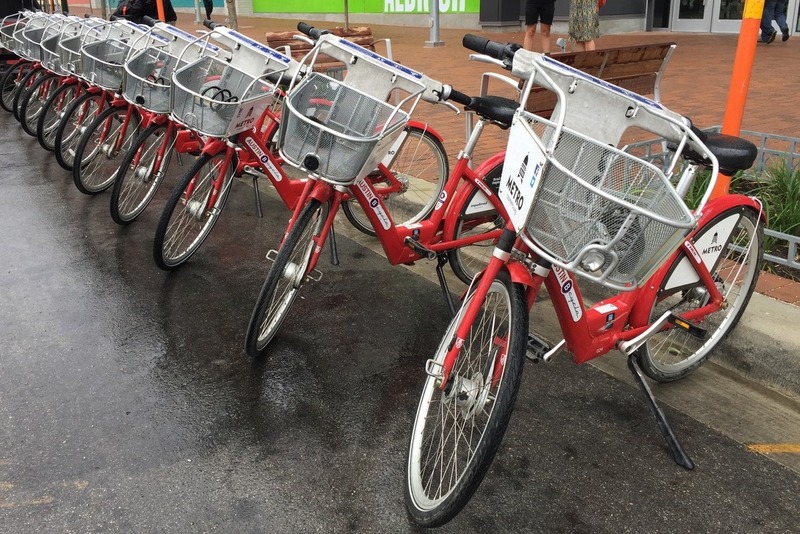 Learn how you can bring your bike with you on Capital Metro buses and trains and about MetroBike’s secured bike parking program. In May 2018, the City of Austin launched a shared micromobility program, also known as dockless mobility, where conventional bicycles, electric-assist bicycles and electric scooters are available throughout the city. Learn more about shared micromobility in Austin. Bicycling laws and safety. Understand the rights and regulations of cycling in Austin. Obeying the laws and riding predictably help foster a friendly environment for everyone to share the road. Bicycle registry. The Austin Police Department's bicycle registry system will store the make, model and serial number of your bike that can later be used as proof of ownership, in case of theft. Need to report an issue with a bike facility, sidewalk or street? Submit an online customer service request or call Austin 3-1-1 (dial 3-1-1 or 512-974-2000).